The Rev. Jan M. Brown is the Founding/Executive Director of SpiritWorks Foundation Center for the Soul. Jan is a person in long term recovery from addiction meaning she has not used drugs or alcohol or drugs since January 1, 1987. 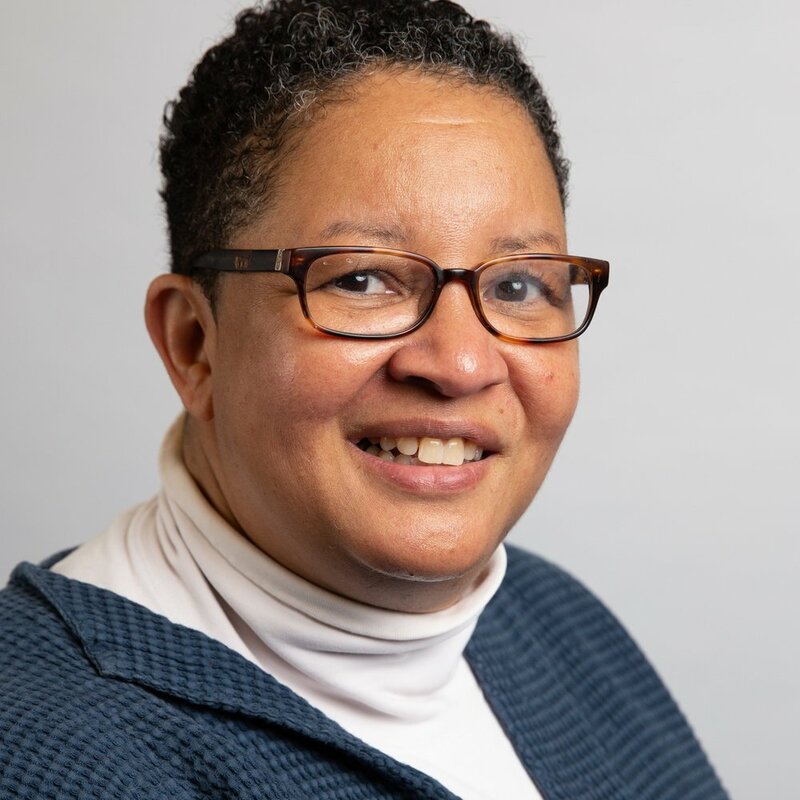 She is an ordained Deacon in the Episcopal Church, presently serving at Bruton Parish Church in Williamsburg, VA. She graduated from the College of William and Mary with a BA in Psychology and is certified as a Peer Recovery Support Specialist. In 2018 Jan received her Master of Addiction Science Degree from the International Programme on Addiction Studies through a specialized program with King’s College in London, the University of Adelaide and Virginia Commonwealth University. Jan is also an Addictions Educator and sought after speaker on topics of recovery-oriented systems of care, recovery support services and recovery management. Jan serves as the Chairperson of the Board of Directors of Faces and Voices of Recovery, Recovery Consultant on SAMHSA States Targeted Response (STR) Technical Assistance Center Team, Consensus Panel member for the SAMHSA TIP – Peer Recovery Support Specialists and co-chair of the Addictions and Recovery Commission for the Diocese of Southern Virginia. In 2014 she was appointed by the Governor of Virginia to serve on the Governor’s Task Force on Prescription Drug and Heroin Abuse. The Rev. Lauren McDonald is the Director of Spiritual and Community Programming at SpiritWorks Foundation. Lauren has been a friend and volunteer of SpiritWorks since 2008 and began employment in January 2012. She has been living in recovery from co-dependence since February 2011. Lauren is an Episcopal priest with a passion for healing and spiritual practices. At SpiritWorks she oversees volunteer management, faith community education and training, and recovery ministry. Lauren received a B.A. in Speech and Theatre Arts from The University of the South in 1991 and a M.Div. from Seabury Western Theological Seminary in 2008. She has a Certificate in Spiritual Caregiving to Help Addicted Persons and Families through the National Association for Children of Addiction and is a Level 1 USA Archery Instructor. She co-chairs the Addictions and Recovery Commission for the Diocese of Southern Virginia. Beginning in June 2016, Lauren began serving as the Associate Rector for Outreach and Women’s Ministries at Bruton Parish. Lynn Smyth is the Volunteer Coordinator at SpiritWorks Foundation. She is the mother of a recovering addict. Through her journey, Lynn found a passion for nurturing those in recovery that SpiritWorks serves. She loves to celebrate birthdays, milestones and organize events and fundraisers that are designed to celebrate life in recovery. Formerly a trial paralegal, Lynn has woven together a network of volunteer attorneys donate their time to help members of the SpiritWorks community to navigate their legal issues. Lynn also serves SpiritWorks by monitoring pending state and federal legislation that promote recovery services and funding initiatives. Lynn graduated from Florida State University with a B.S. in Political Science and received her paralegal certificate from the National Center for Paralegal Training in Atlanta, Georgia. Last year, Lynn completed SpiritWorks’ peer recovery specialist training course. April Smith Swe received her Master of Social Work from George Warren Brown School of Social Work at Washington University in St. Louis with concentrations in Crisis Work and Children and Families. She received her doctorate in Social Welfare where her research focused on families, developmental disabilities, and crisis. Most of her professional practice and experience has been in crisis social work, responding to homes, hospitals, correctional facilities, and community centers. She is an active member of the American Association of Suicidology (AAS), the National Alliance on Mental Illness (NAMI), the National Eating Disorders Association (NEDA), and the Autism Society of America (ASA). She serves on the Autism Suicide Committee through the AAS with a focus on research. She is a certified crisis worker and has her certification to perform Psychological Autopsies. April is also a suicide survivor and a survivor of suicide. She is part of a family who has struggled with severe addiction and mental illness for generations and is passionate about helping others in similar situations. Most importantly, she is the mother of 3 beautiful children who are the light of her life and one of her main motivations to selflessly serve others. Yolanda Jackson is the SUD Recovery Case Manager at Colonial Behavioral Health and serves as the liaison between CBH and Spiritworks. She received her BSW from Virginia Union University in 2002 and her MAED with a concentration in Family & Community Services from Ashford University in 2013. Chris Connell, Program Manager, SpiritWorks-Warrenton: Chris has always had a passion to help people. Besides being the mother to eight children, she got her Criminal Justice degree from Liberty University in 2012, six months after she gave birth to her and her husband’s ninth child. After that she tried to find ways to put her degree to good use. She decided in 2016 that she wanted to help families dealing with drug addiction after her experience with one of her children and finding out first-hand the devastating effect that drug addiction can have on families. Chris is a Certified Recovery Coach, and also holds certifications through the American Association of Christian Counseling in the following areas: Christian Counseling, Issues of Christian Counseling, Christian Counseling for Children, Christian Counseling for Women, Healthy Sexuality, and Life Coaching. Charlie Brooke, CPRS, is a person in long term recovery from addiction meaning he has not used drugs or alcohol since September 10, 1977. Charlie helped found the Serenity Home in Newport News, VA in 1974. He recognized the need for Substance Use Recovery with the residents in the halfway house for ex-offenders. The residents who accepted treatment proved to be less likely to recidivate. Charlie graduated from Christopher Newport College in 1971 with a BA Degree in Criminal Justice. He was certified as a Alcoholism Counselor in 1982 and in 2018 he was Certified as a Peer Recovery Specialist. Charlie has worked in many treatment programs including New Beginnings in Chantilly, VA, Serenity House in Fredericksburg, VA and Boxwood in Culpeper, VA. Charlie also worked as an Employee Assistance Person for the US Postal Service and United Airlines in which he retired from. Charlie also helped found The Warrenton Meeting Place in 2012, where 12-step programs could meet in a safe and secure place. Charlie became active with The Warrenton Recovery Center in 2017. Kristy Piette, Certified Peer Recovery Specialist/Jail Program Facilitator, and a person in long term recovery from substance use disorder with sobriety date of September 9, 2012. With over 30 years of going through the revolving door of 12-step programs, jails, institutions and treatment centers. Kristy has firsthand experience of the progressive nature of the disease of addiction. Kristy shares her experience, strength and hope through her empathy to the women “Inside the Walls”, as well as peers on the street and all who come into the recovery center showing them there is an easier softer way. Kristy has been a daily volunteer at the Warrenton Recovery Center for six months. She also assists in re-entry and building solid foundations for the holistic well-being. Kristy makes herself available 24/7 taking women to 12-step meetings, Celebrate Recovery, spiritual fellowship as well nutritious needs. Kristy believes one must give freely in order to keep inner peace.